Stow your small essentials in the Black Leather Pouch. 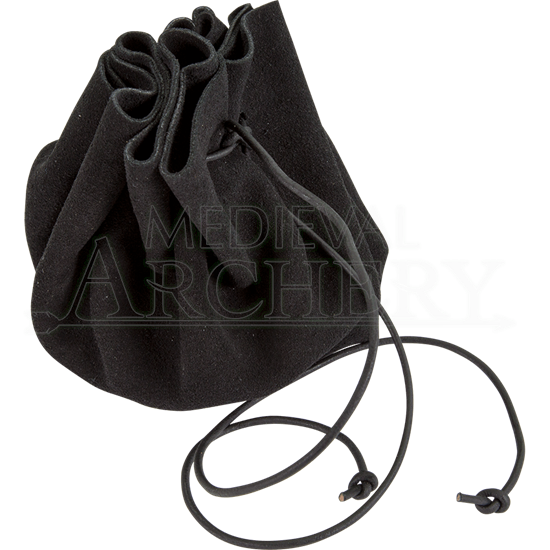 With its long drawstring and black leather structure, this medieval coin bag is perfect for the Ren faire, LARP adventuring, reenactment, or even fun, everyday use keeping your gaming coins or dice safe. 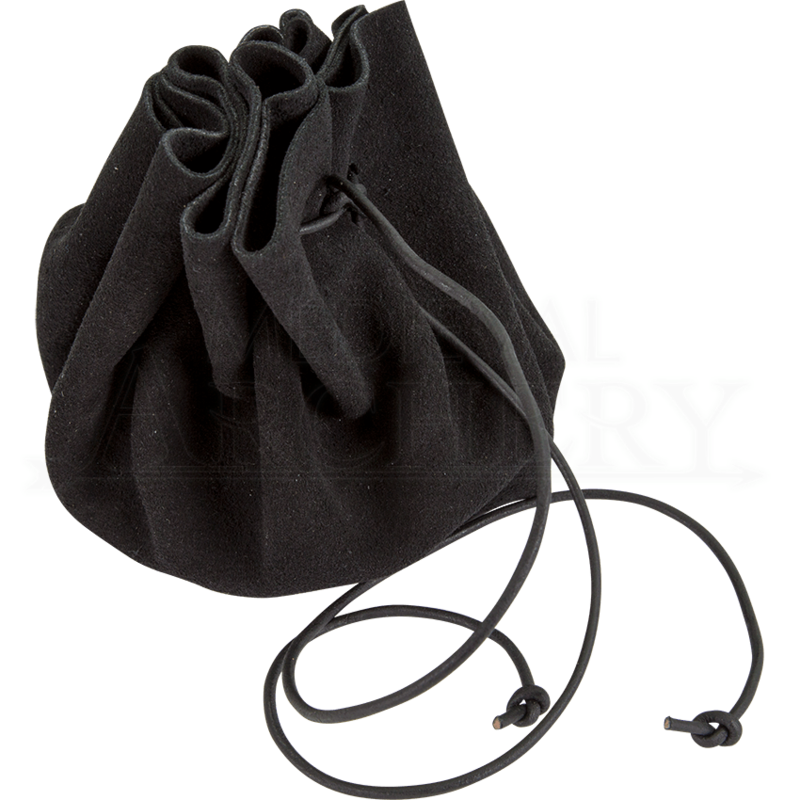 This handcrafted drawstring pouch secures shut when you pull the cords tight. Keep keys, cards, cash, and more handy when you add this leather pouch to your medieval, Renaissance, or fantasy outfit, as its versatile shape suits any setting.